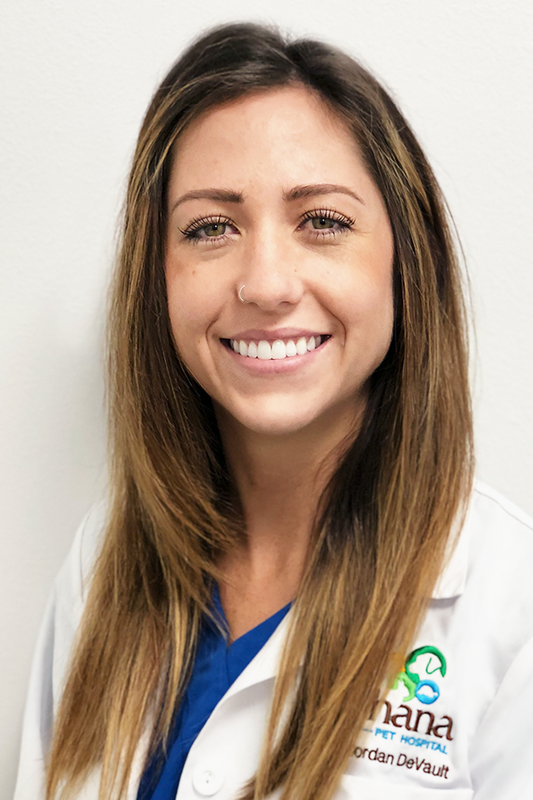 In March 2018, Ohana Pet Hospital has extended its professional family to include Dr. Jordan DeVault who has joined the hospital’s urgent care team. Dr. DeVault’s professional interests include emergency medicine, surgery, small animal and exotic medicine and acupuncture. Dr. DeVault was born and raised in Newbury Park, California and obtained her BS in Animal Science at Cal Poly, San Luis Obispo. After graduating college, she moved to the Caribbean to attend Ross University School of Veterinary medicine on the Island of St. Kitts. She completed her doctorate of veterinary medicine from Ross University in 2015. Dr. DeVault moved on to practice emergency medicine in Thousand Oaks before moving to Melbourne, Florida to join a general practice. She is now back where she belongs in our community and we welcome her experience, especially in working with exotic animals including small mammals, reptiles, and simple procedures on birds. In her free time Dr. DeVault enjoys traveling, music, soccer, and outdoor activities. She lives with her husband, two black cats, two rabbits, and her Rottweiler.